Chennai-based artificial intelligence (AI) and computer vision technology startup Mad Street Den Systems Pvt. Ltd has secured an undisclosed amount in Series A funding from Sequoia Capital India and existing investors Exfinity Venture Partners and GrowX Ventures. A report in Mint stated Mad Street Den will use the funds to expand operations to global markets besides India and the US where it is currently operating. It will also enhance its personalisation platform to help retailers better predict customer preferences, and automate visual merchandising and inventory management, the report said. Asokan—who holds a bachelor's degree in Visual Communication from Madras University and a master's in Interaction Design from Carnegie Mellon University—worked with Intel Corporation. Chandrasekaran, an electrical engineer from IIT Madras with a PhD in Neuroscience, previously worked at Zort Technologies and Evolved Machines Inc, among others. The firm's flagship product, MADstack, is a cloud-based platform that offers AI and computer vision applications across various industries. 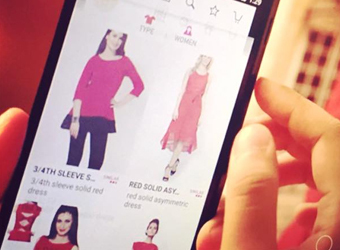 The product is primarily used in fashion e-commerce where users can search for garments of their liking by taking pictures and then scanning them through various online portals that retail the piece of clothing. It launched an AI-based platform called Vue.ai in January this year to provide users a personalised search by analysing their shopping behaviour and preferences. The platform also enables retailers to provide better search results for customers. Besides fashion, the firm offers its platform to other sectors such as gaming, ad-tech, Internet of Things (IoT) and automobiles, analytics and market research. Craftsvilla, Voonik, Yepme and Kaaryah are among Mad Street Den's Indian clients. The firm raised $1.5 million (about Rs 9 crore) in seed funding in January 2015 from Exfinity Venture Partners and GrowX Ventures. Other players in the space that offer similar technologies include Gurgaon-based Staqu which raised an undisclosed amount of funding from Indian Angel Network in June. The firm provides automation for e-commerce companies in areas such as image search, tag generation and real time recommendation. In October 2015, redBus founder Phanindra Sama and TaxiForSure founder Raghunandan G invested in visual discovery platform Galleri5. The platform allows users to post photographs of various activities and these are then used by others to discover places to visit, restaurants, activities and recipes. Bangalore-based Snapshopr raised an undisclosed amount of angel funding in January this year from former Flipkart CTO Amod Malviya and a host of other angel investors. Through its SaaS-based platform, the firm makes visual search of fashion catalogues easy for users by partnering with retailers. Bangalore-based AI startup Niki.ai, which allows users to order anything through a chat interface, raised an undisclosed amount of investment from Tata Sons chairman emeritus Ratan Tata and existing investor Unilazer Ventures, owned by Ronnie Screwvala, in May this year. Exfinity Venture Partners GrowX Ventures Mad Street Den Systems Pvt. Ltd. Sequoia Capital India Advisors Pvt. Ltd.